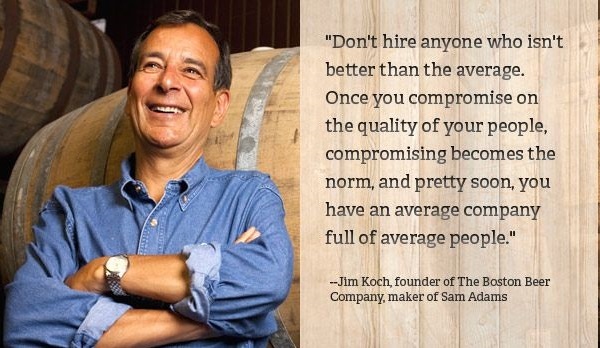 Jim Koch is an inspirational figure that left a lucrative consulting career to start the world's most successful microbrewery: Sam Adams. 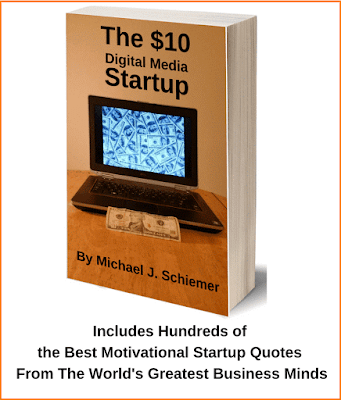 Jim Koch is a sales and branding genius with plenty of catchy quotes for entrepreneurial inspiration. 1) "The value of a company depends on elements that contribute to the creation of real value—things like providing superior products at fair prices." 2) "Selling is applied communication and vastly underrated in business education. If you want to know how viable your business is, go try to sell your product to some potential customers." 3) "I love disruption. To me, disruption means that you see the way things are, and you're able to see a better way and see a path from where we are now to this better way." 4) "I try not to manage, because most people know how to do their job better than I know." 5) "You need to be learning and innovating, giving your people interesting, motivating work and compensating them fairly, creating value for your community, and doing it all in a way that yields a good profit." 7) "Leadership is more about living and modeling the behaviors and the values that you want people to embrace." 8) "The values you want to live have to come from your own living heart. You have to be the best model of those values. You have to push yourself to the highest possible standard, because it's not reasonable to expect anybody else to have a higher standard than you do as a leader." Take these inspiring quotes from Jim Koch of Samuel Adams Beer to heart and succeed in building your own dream. Thanks for the quotations Jim! I hope you enjoyed these inspirational startup quotes from fellow Bostonian and entrepreneur extraordinaire Jim Koch of Sam Adams fame.